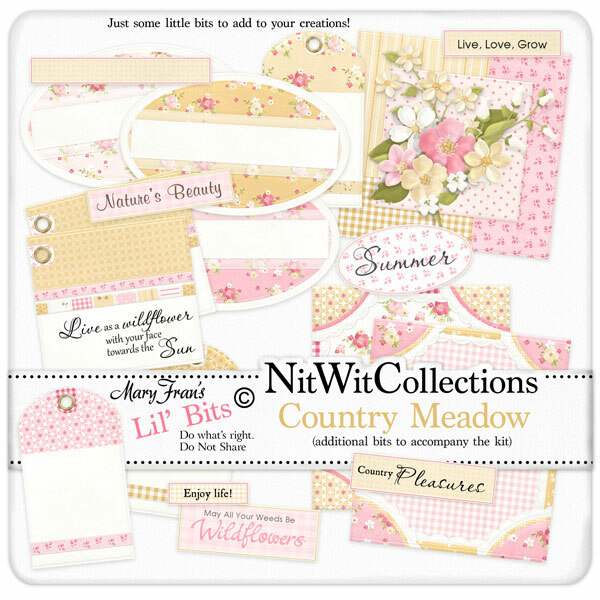 Lil' Bits "Country Meadow" has premade and additional elements to create with! Isn't it always great to have lots of choices and options when creating.....you can do so many different looks! These digital elements are NOT included in the FQB "Country Meadow" Collection so don't pass these by! 2 Mats that would be the perfect element to back your main image, photo, or stamp with...how easy is this?! 1 Wordtag - "Live as a Wildflower...."